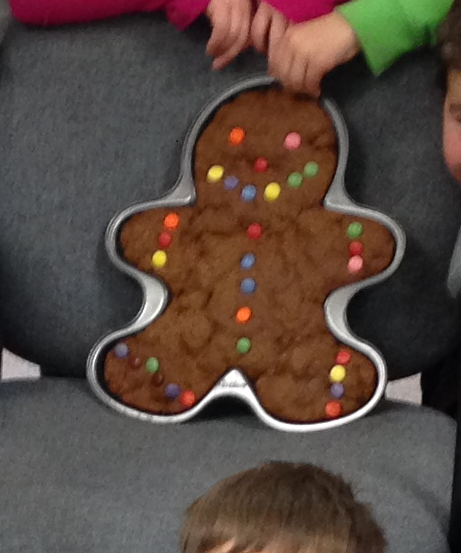 Gingerbread Man | Mrs. Anton's Class! We had a great time chasing this guy all around the school! He led us on a merry chase all around the school. 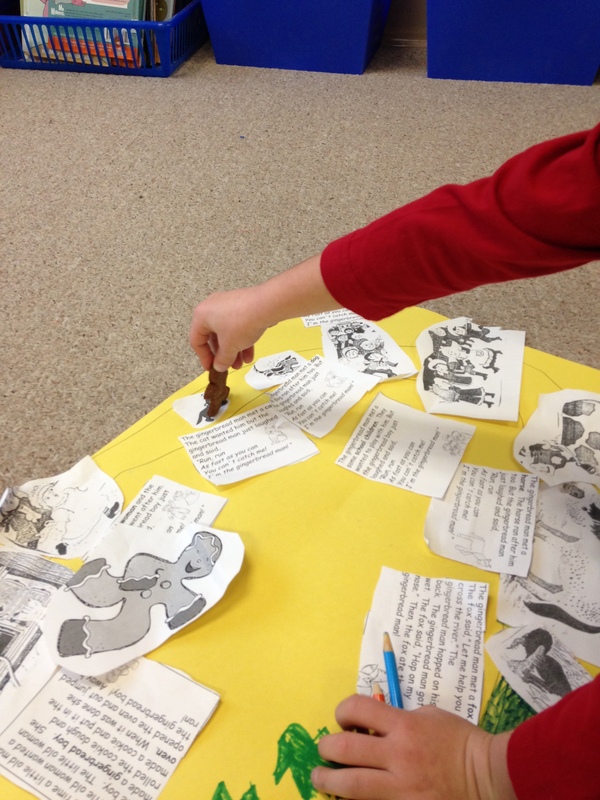 First, we read the story about the Gingerbread Man. I had made a this big guy at home and brought him to school to decorate and bake. When we went to take him out of the oven he had run away. He left us a clue written on a gingerbread man shape in the kitchen. That led us to the office and classrooms all around the school. 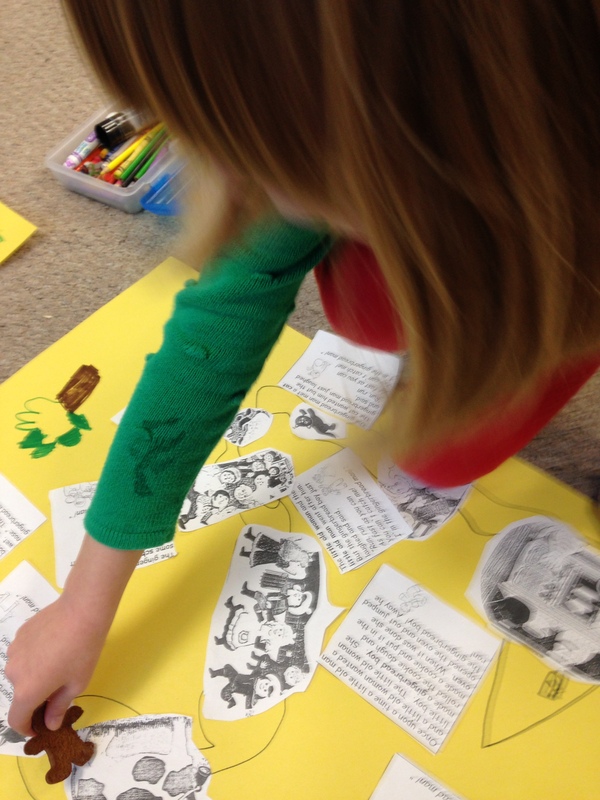 The students had a great time locating all the clues hidden in the classrooms! He finally ended up back in our classroom on my rolling chair! 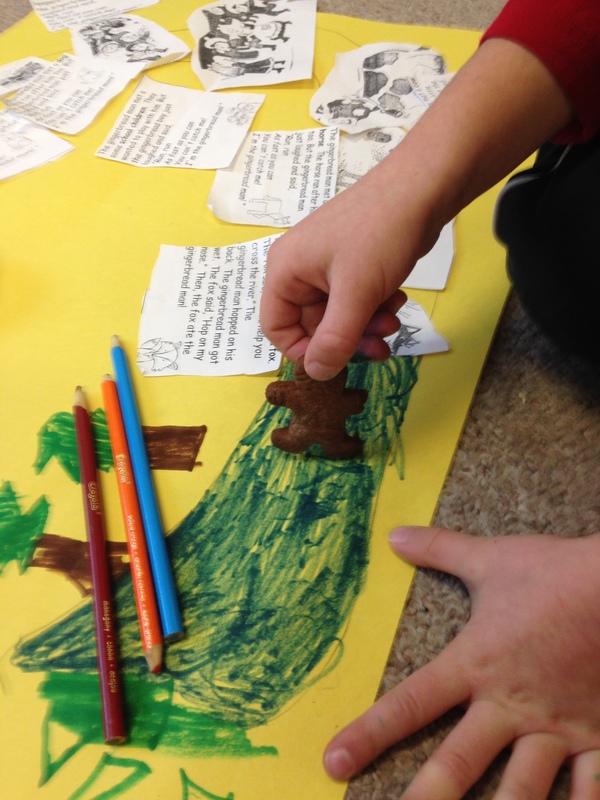 I had also made some miniature gingerbread men that we used to act out the story map that the children made to retell the story! Both big and little gingerbread men were gobbled up before home time! Now that’s a yummy story!